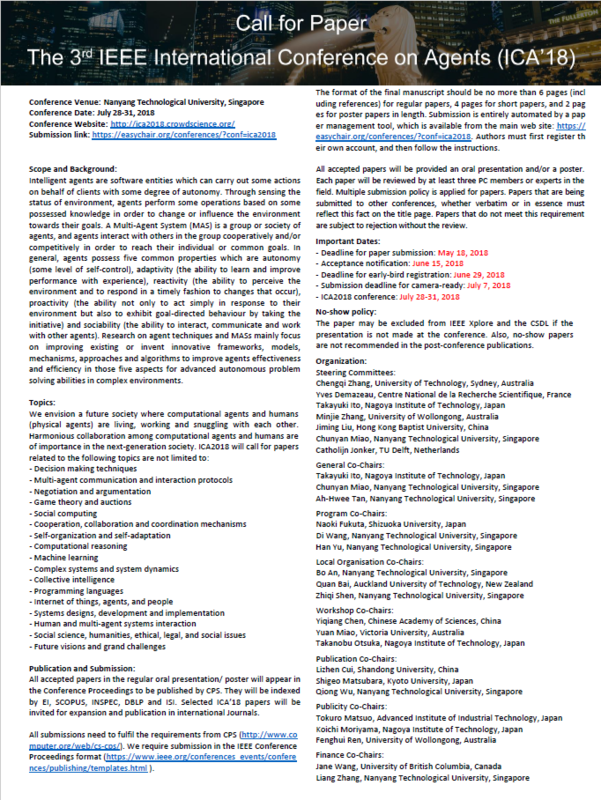 The nearest MRT (Singapore’s subway/metro system) stations near NTU campus are Boon Lay and Pioneer MRT Stations. 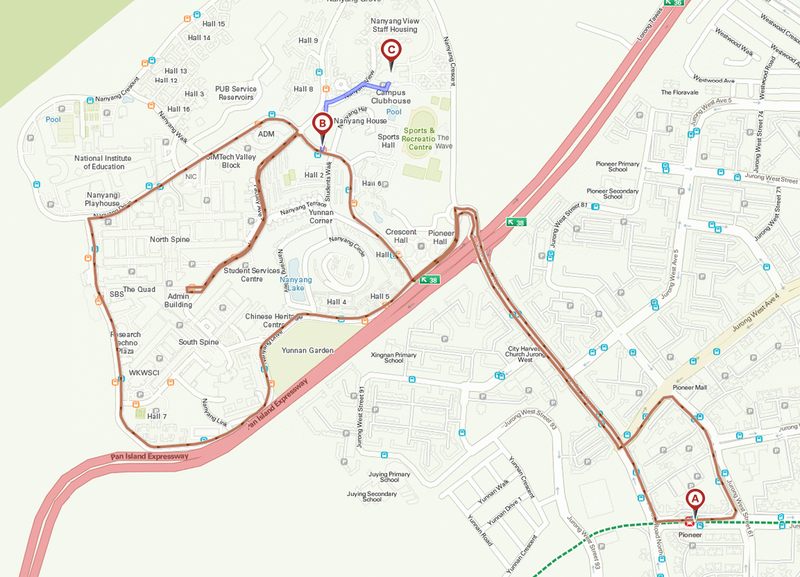 take 179 from Boon Lay Interchange (Point A) to Hall 2, NTU (Point B). Then take a 10-minute walk (from Point B to Point C) to NEC. take 199 from Boon Lay Interchange (Point A) to Hall 8, NTU (Point B). 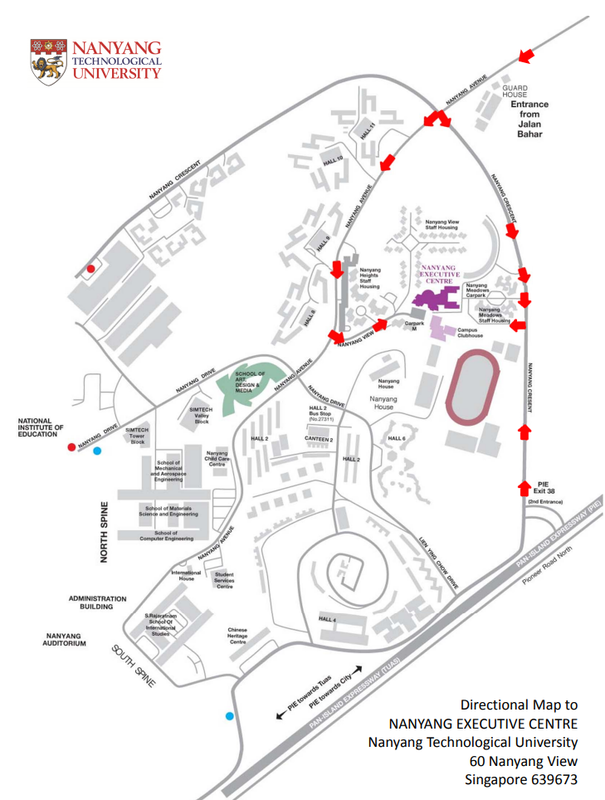 Then take a 10-minute walk (from Point B to Point C) to NEC. 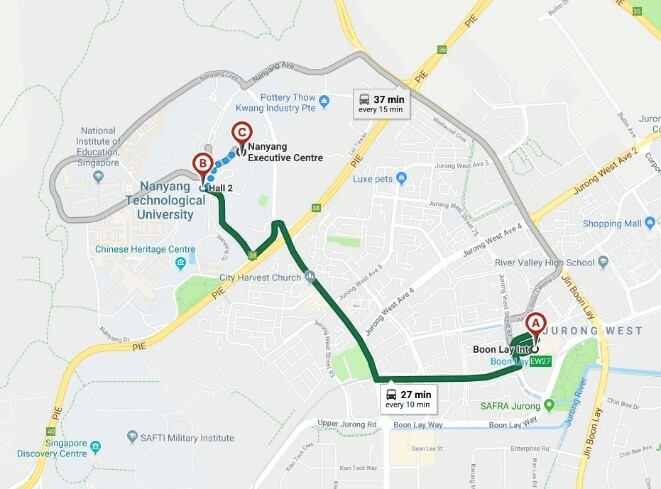 take NTU Campus Rider-Weekend (free of charge, but less frequent than 179 and 199) from Pioneer MRT Station (Station Exit B, Point A in the map), to Hall 2, NTU (Point B), then take a 10-minute walk (from Point B to C) to NEC. 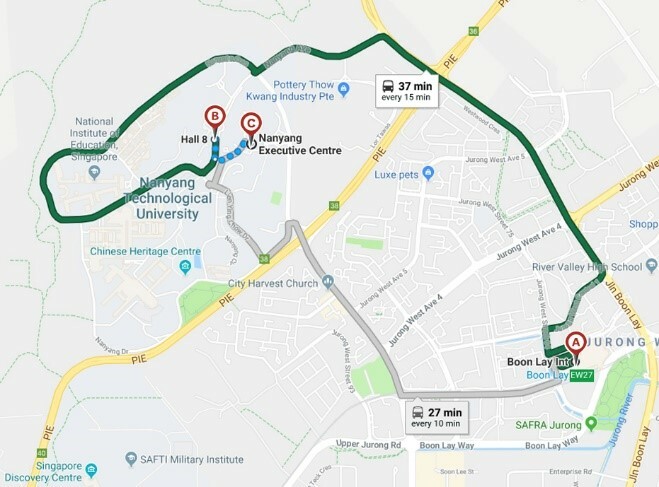 If you take a taxi or self-driving: After reaching NTU campus, please follow the map below to arrive at NEC.